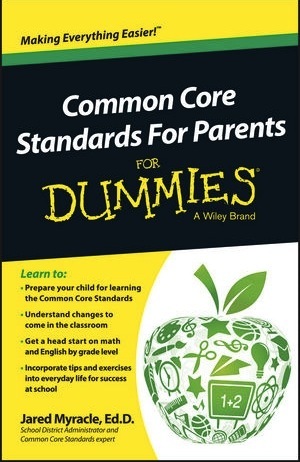 Myracle (pronounced “my-rackle”), the supervisor of instruction at Gibson County Special School District (TN) is the author of the recently published book Common Core Standards for Parents for Dummies ($9.99, Wiley). In an interview, he insisted that nobody can point to a Common Core standard and say, “I have a problem with this. I don't want my kid to evaluate information from multiple sources. That's not something that people are getting fired up about.” But there’s no denying that opponents are getting fired up, among them many parents. Here, Myracle shares nine ideas for making sure that the parents in your district understand the Common Core, so that you can focus less on misdirected community protests and more on student learning. There’s no right or wrong way to communicate about Common Core, said Myracle. “It's very much a potpourri of doing a little of this, a little of that.” For example, he writes editorials about the Common Core for one of the local newspapers. Updates are posted to the school websites and other social media. The schools hold evening events to walk parents through a simplified version of the implementation plan. Then the parents go off to their children’s classrooms with the teachers to work through basic exercises so they can learn what to expect. Attendance at these events varies, he noted. Whereas some schools attract half of their families, others get just 15 or 20 percent. It's important for teachers to be able to give at least an abbreviated version of the same message. As Myracle explained, it only takes one school or district employee giving “confusing verbiage on something” to get parents upset and turn the Common Core into an issue. For example, if a new teacher tells parents at an open house that Common Core is the “new curriculum for the class,” misunderstandings begin to take root. Appendix B of the standards, “Text Exemplars and Sample Performance Tasks,” includes lists of texts that would be appropriate for each grade level. “There are some people that think those are required,” sighed Myracle. “That's not true.” They're there, he explained, for teachers to use as examples for length and complexity upon which to base their own reading selections. 5) Emphasize That "Online" Doesn't Mean "Unsecured"
He added that some people suggest that Race to the Top grants were a bribe by the feds to get states to adopt the Common Core. That's not true either. What RttT did require was that states adopt common college and career-ready standards in cooperation with other states. “It didn't say you had to do Common Core, and there were states that received that grant money without adopting the standards,” Myracle said. In fact, he pointed out, in the rubric by which RttT proposals were assessed, “The standards were a relatively small piece." Most parents have already heard the message that English/language arts and math are part of the Common Core. What they may not realize is that literacy standards are part of it too, and those are part of every subject that students study. On the math side, students have to fill in blanks rather than selecting from choices. And in some cases, they have to show how they came up with that solution or set up a function to arrive at the answer. “It's a whole other level that is so much closer to what we ask them to do on a daily basis in classrooms,” Myracle said. By now, suggested Myracle, parents know that the standards exist and they've either “heard that message or ignored that message.” Sooner rather than later, districts should get beyond explaining what the Common Core is and show it to parents in the classroom. That means sharing an activity, for example, that might be done in a science class and pointing out the Common Core-aligned literacy expectation that works with that science content.